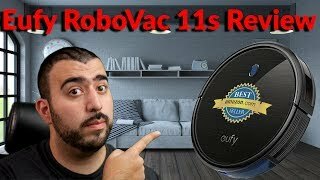 What is different between the ECOVACS Deebot N79S vs. Eufy RoboVac 11S (Slim)? Eufy is a bit shorter which helps it fit under most furniture. The 11S has Boost IQ that automatically increases suction power when needed. The DEEBOT lacks this feature. The N79S supports Wi-Fi and comes with an app where it can be started/stopped, scheduled, etc. You can manually control the Eufy movements via remote control. With the ECOVACS, you can do it via its app as well. DEEBOT is integrated with Amazon Alexa and Google Home. Eufy has stronger suction power. It ensures better cleaning performance. 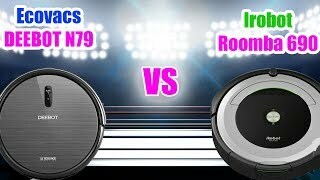 The 79S is louder when vacuuming. Eufy has a better climbing ability. It can work on carpets that are up to 16 mm height; the DEEBOT does 14 mm. Eufy or DEEBOT? What to buy? They both cost about the same. It is becoming challenging which one to buy, right? We want to help you out to decide which one would suit you the best. 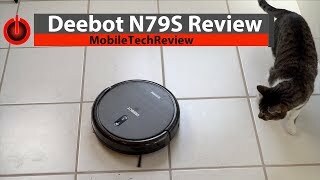 The ECOVACS DEEBOT N79S is more suitable for homes with hard floors and thin carpets. Since it is compatible with Alexa-enabled devices, you can control it by your voice if you own any of these. Because of stronger suction power and better barrier cross height, the Eufy performs slightly better on carpets. It is more suitable for pet owners because of a bigger dustbin. If you don't care about no Wi-Fi support thus no app - we would recommend getting the Eufy 11S.